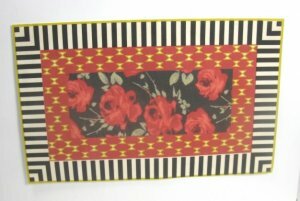 Part of our Motley collection, this designer-style rug features black and white stripes with dramatic roses. Printed on suede paper. Made in the U.S.